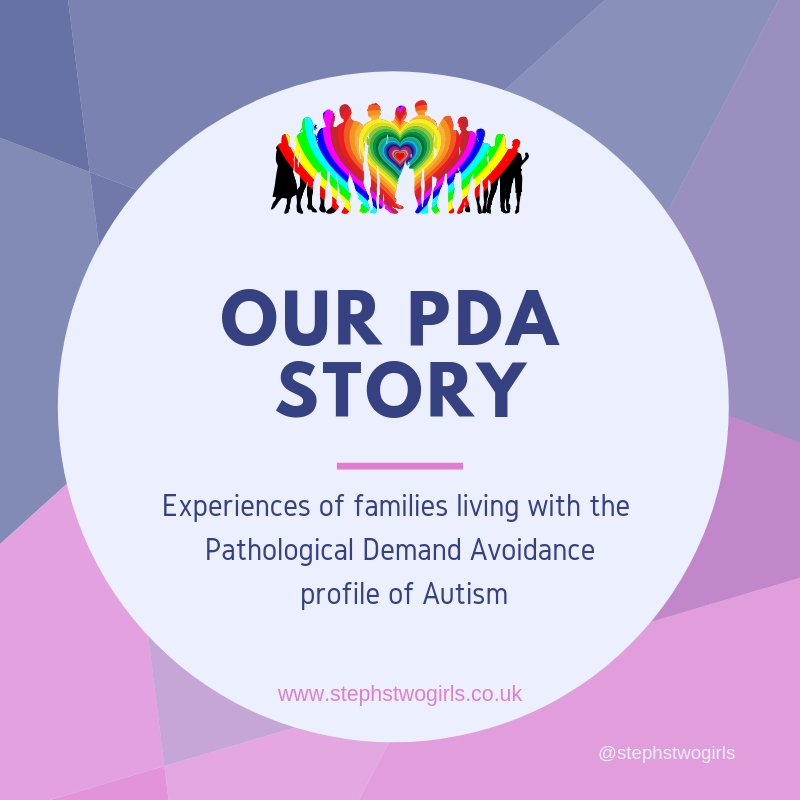 We are now onto week 40 in the long running series 'Our PDA Story'. 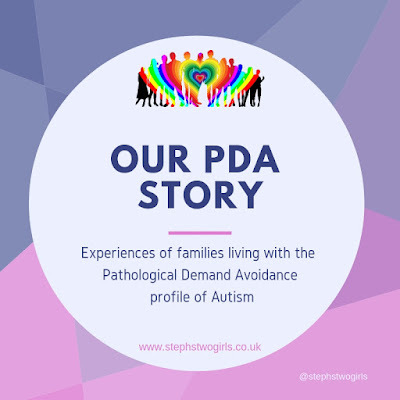 This is where many other families and adults who are living with Pathological Demand Avoidance have bravely shared their stories in order to try to increase understanding about PDA. This week's experiences come from another family with a girl with PDA. 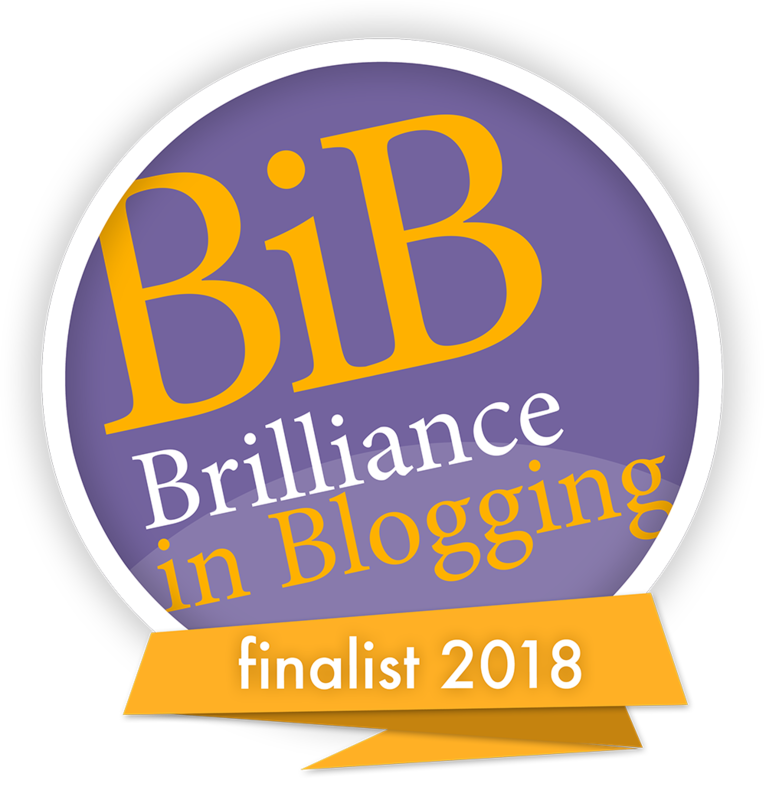 They've had a much more troubled path to the lightbulb moment than we had, but are thankfully now 'seeing the light' (please excuse the pun!) 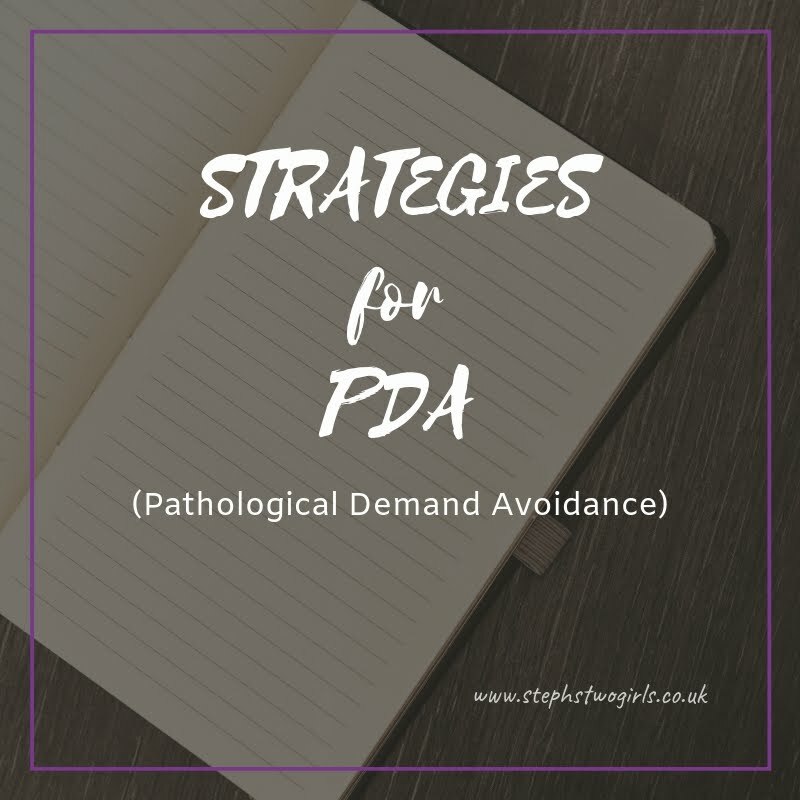 and managing to use the strategies helpful for PDA. Our journey has just begun, although we are 10 years down the line. I remember at Gigi’s 8 week check up asking the GP when she should start turning her head to noise or her name. He didn’t give an answer but said everything was fine. I remember going to the health visitor when she was 9 months old and her saying I needed to give her more solids, but she wasn’t very accepting of them. Gigi was a character, even as a baby. She would happily lay on the floor for hours quite content, but resisted sleep, even those precious nap times that as new parents we all value. However, She hit all her milestones. She was walking at 11 months and babbling like you wouldn’t believe, although never really laughed. She started preschool at 2 and stayed there for nursery until she started reception. When she was at nursery age, her behaviour was quite difficult to handle at home. I suggested to the nursery staff that I was worried she wasn’t hearing properly as she didn’t seem respond to or acknowledge demands that as parents we have to put on them. I asked them to keep a diary, which they did although they reported they saw no problem. I took her to the GP anyway and after a quick test (G facing the other way and GP asking her stuff) I was told that her hearing was fine and it was just a stage she was going through. Whilst she was in Year 1, she ended up with a fixed term teacher as the teacher left. He said to me one day “I think Gigi may have Autism”. I spoke to people around me, who all were horrified at the suggestion. Although, I desperately wanted someone to say I think he could be right! The summer between Years 3 and 4 was the most memorable and not in a good way. 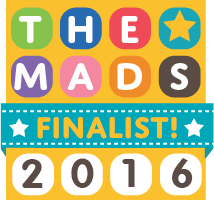 I started full time work and my husband (who has muscular dystrophy) became the main carer. Gigi was really struggling with the added responsibility. She regularly said to us that she wanted to run away (quite often packing a bag) not because she hated us but because we didn’t deserve a daughter like her and we would be better off without her. She even mentioned in a few occasions that she would kill herself. As a Mum, this broke my heart. She said that she didn’t want to act the way she did but there was something in her head that made her act that way and she couldn’t stop it. Year 4 started. Things were the same, although she was masking a little less. She was regularly leaving the classroom, being defiant and hadn’t quite made those social connections that her peers were. I was called in to sign a risk assessment for their residential trip, as she was a flight risk. I was sitting with her teacher, the head of Year and Gigi. 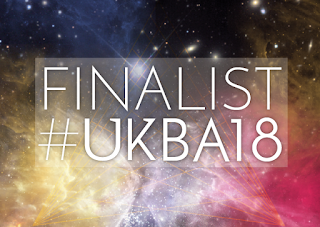 I broke down in tears and asked the head of Year if I needed to see the GP. She said “Yes! I think that would be a good idea.” That is all I had been waiting for. Over that summer, I asked my step mum, who is a non medical Autism consultant to assess Gigi whilst she was staying with them. When I came to pick them up, I was so nervous she was going to say there is nothing that points towards Autism and it’s just you as a parent. However, she broke down in tears and informed me that she believed Gigi was autistic. She was upset because Gigi had been struggling for so long and she (as a professional) hadn’t seen it. Gigi was now in Year 5. The beginning of the school year was ok, not great though. However, just before Christmas we were informed Gigi’s class teacher and TA (who had been with the class since Yr 3 and was Gigi’s rock) were leaving the school. I knew the next term was going to be incredibly difficult and I wasn’t wrong. The first full week back after Christmas, I had just got home from work for my once a week peaceful cup of tea when my husband text me to say he was stuck at school as Gigi had attacked another pupil. I quickly got to school, where she was still very much in crisis. I eventually got her down from the ceiling (not literally!) and we went home with an internal exclusion on the Monday. We were totally on the same wave length....hallelujah! We started using PDA strategies at home and things seemed to improve. Gigi had some sort of peace in herself that after 9 tough years, we understood. School continued to be a struggle. The new teacher (another fixed term) wasn’t on board and seemed to do everything in his path to counteract the good work we were doing at home, go against the SENDCO and even the Headteacher. He was sly and vindictive. I remember first meeting him and saying to my husband “He reminds me of an abusive partner in a relationship!” Obviously he thought I was being my typical overactive self. However, I wasn’t wrong and he continued to chip away at my beautiful daughter. I fought, my step mum fought and whilst he agreed in meetings, he never changed. Towards the end of Year 5, I was supposed to be having a meeting with the SENDCO but I was greeted by a non talking Gigi, who refused to leave my side and ended up running away somewhere in the school. I found her in the main hall and started my tried and tested techniques to bring her down. It was starting to work and I had her sitting next to me, when he entered the room. She moved away from me, hiding behind the curtains. I said “I really don’t think you should be in here at the moment!” He didn’t leave, he just continued to speak telling me that he and Gigi had a lengthy discussion about how she chose to act like this and she didn’t have to. My mouth was on the floor and her new chosen TA was grimacing. He left after he had given me his speech and found my husband outside to further stick the knife in. We had 2 weeks left of term, he would be gone out of our lives forever. School bent over backwards to get through the next 2 weeks as they knew that we were at breaking point and I would take them all down with me. She has now started Year 6 and things have been really positive. Her teacher has been using PDA techniques (my step mum went in and gave all the staff training) and isn’t afraid to ask if she is unsure about anything. It’s still a rocky road and we are still waiting for an appointment with a paediatrician. We continue to use PDA strategies. The other day, she preempted a demand and told me her arm hurt. We all burst out laughing.....how things can change! 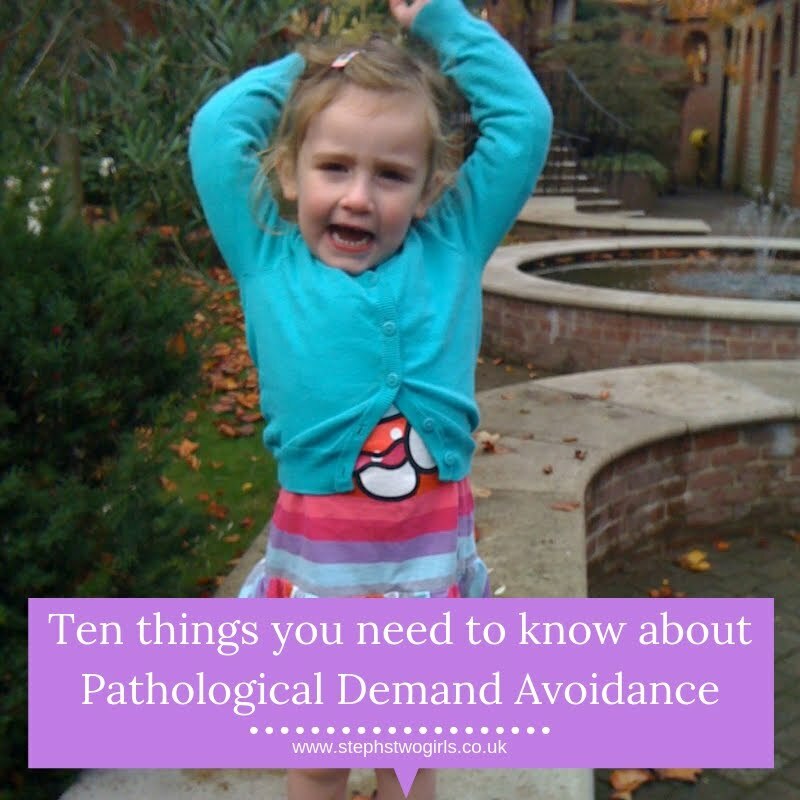 For more reading about what Pathological Demand Avoidance is, please see 'Challenging Behaviour and PDA', and for an idea of how to help please read Strategies For PDA. 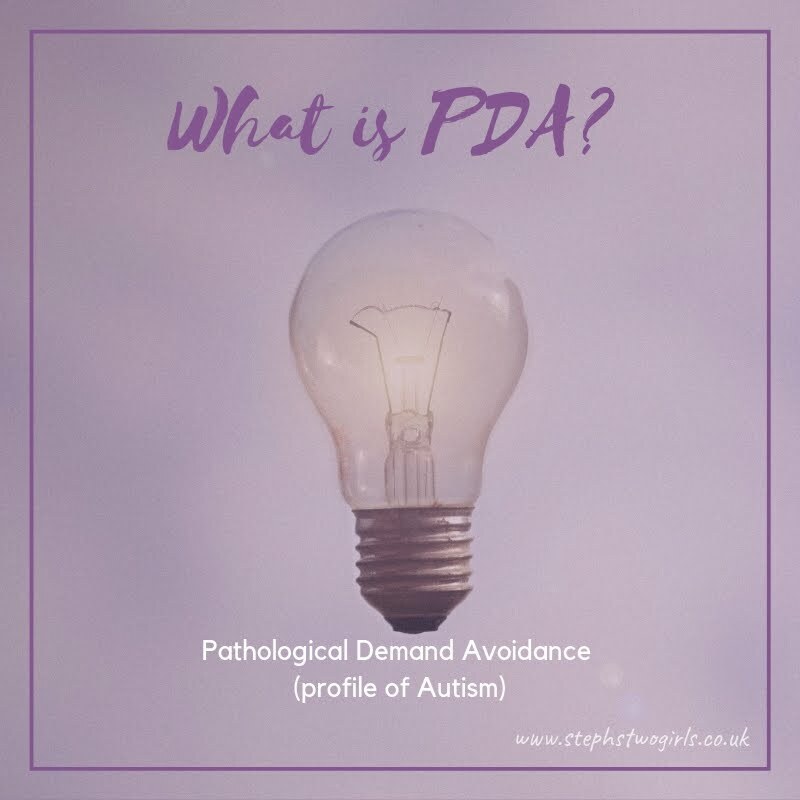 There's a chance PDA can be misdiagnosed as ODD (Oppositional Defiant Disorder) but there is a distinct difference. My explanation can be found here in my post the difference between PDA and ODD.